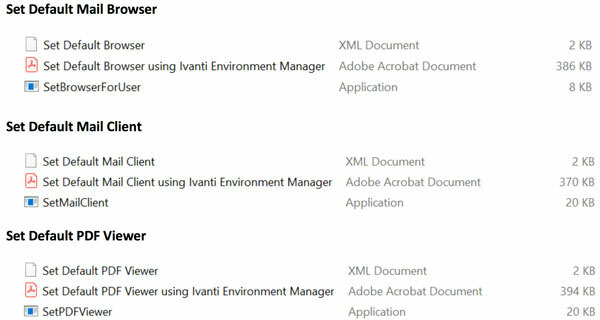 Each of these utilities can be called from an Environment Manager configuration and triggered to apply at logon, to ensure users have the correct default applications in place for their session. 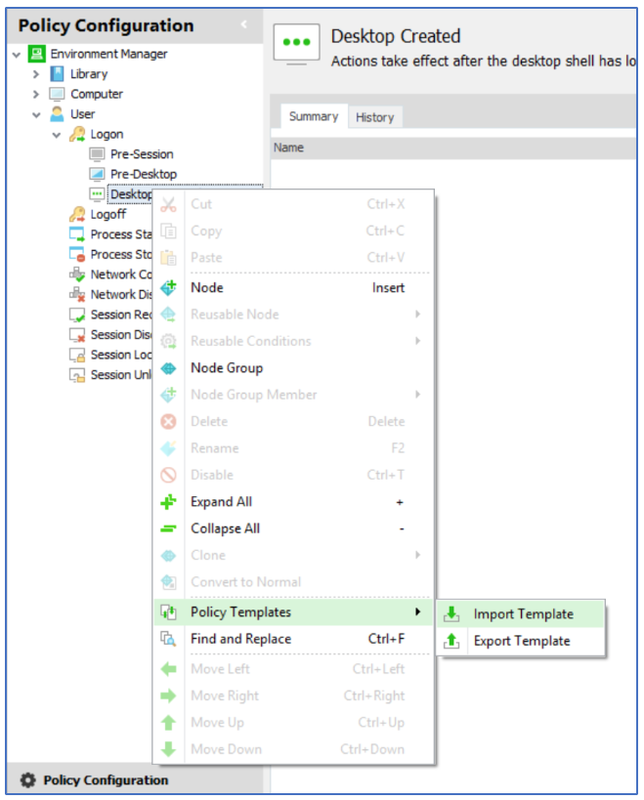 These tools are easily implemented by copying the relevant .exe file to a fully accessible share for all users, and then importing the Environment Manager .xml Policy Template into either a new or existing configuration, on the User | Logon | Desktop Created trigger. In this example, the Set Default Mail Client policy template is imported. Once imported, a relevant node is created beneath the User | Logon | Desktop Created trigger which contains a custom action and a number of dependent Execute actions. The custom action is used to trigger a 5 second pause to ensure the set x as default y Execute action is always applied after UWP application provisioning into the user’s session is complete. 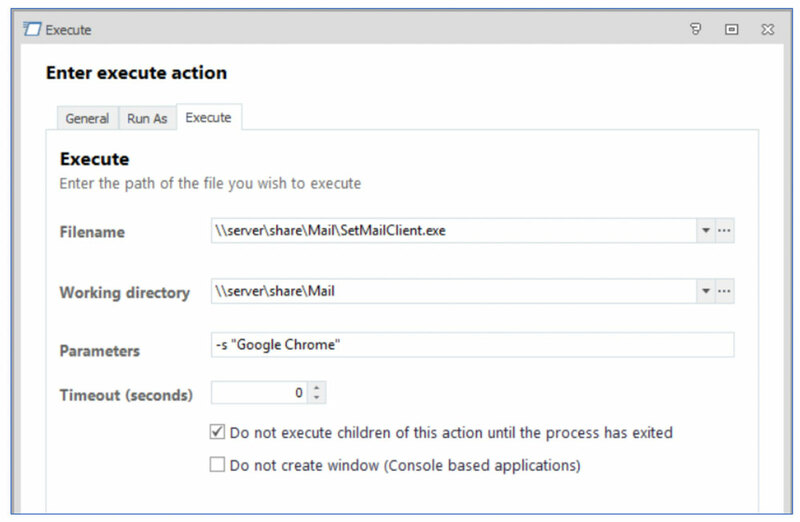 From then, it is possible to enable your chosen default mail client from the list of actions provided. The -s parameter allows the relevant default app to be specified, in this instance Google Chrome. All that is left to do is save and deploy the configuration to your endpoints. Additional default application options can be added to the configuration manually by adding further Execute Actions and specifying the -s parameter followed by the name of the application. These tools are now available to download from the Ivanti Marketplace.